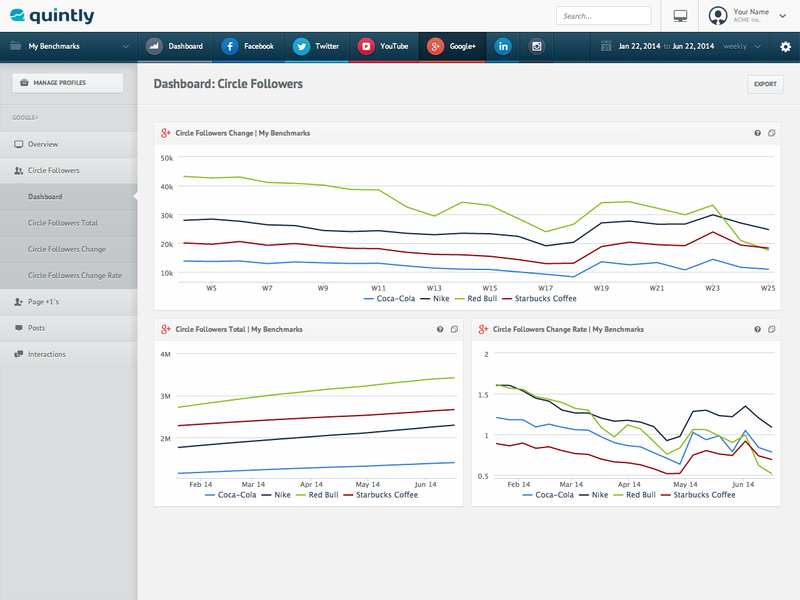 Measure all relevant Google+ circle follower metrics of your page and those of your competitors. Detailed follower statistics take an integral part in optimizing your page and of course in regards to keeping an eye on the competition. Your Google Plus content strategy is one of the prerequisites for maintaining and growing your audience and creating even more awareness to convert your followers into loyal customers. 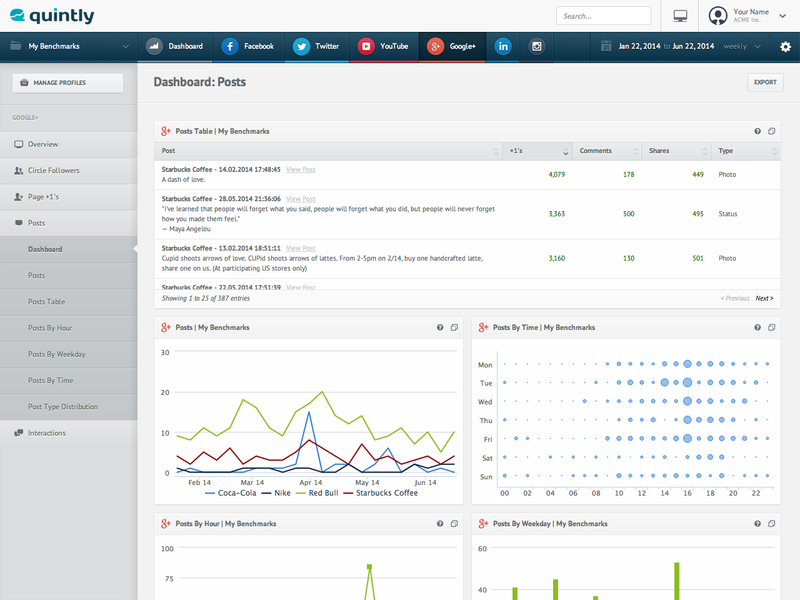 quintly offers a wide feature set to analyze your Google+ content and the interactions generated from your posts. Since the Page +1 count is a combinated sum of all earned +1's across the web it is an importnat metric to evaluate your social media performance. quintly delivers a holistic metric set to check your Page +1 performance and allows you to benchmark all metrics with those of competitors. Every kind of feedback, meaning fans communicating by +1's', shares and comments directly on pages and posts, needs to be tracked. quintly provides a variety of all the important metrics to effectively quantify Google Plus interactions for your marketing efforts. 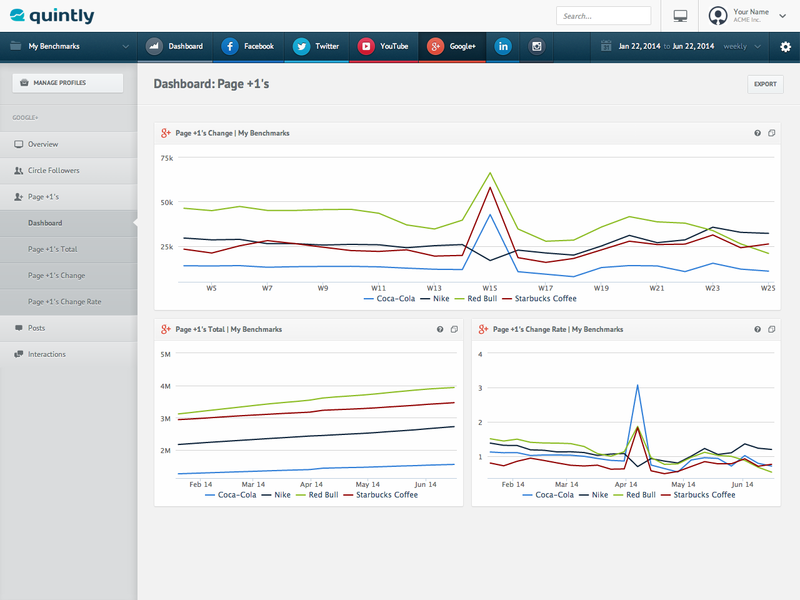 Social analytics for all your networks within one tool: Facebook, Twitter, YouTube, Google+, LinkedIn and Instagram. 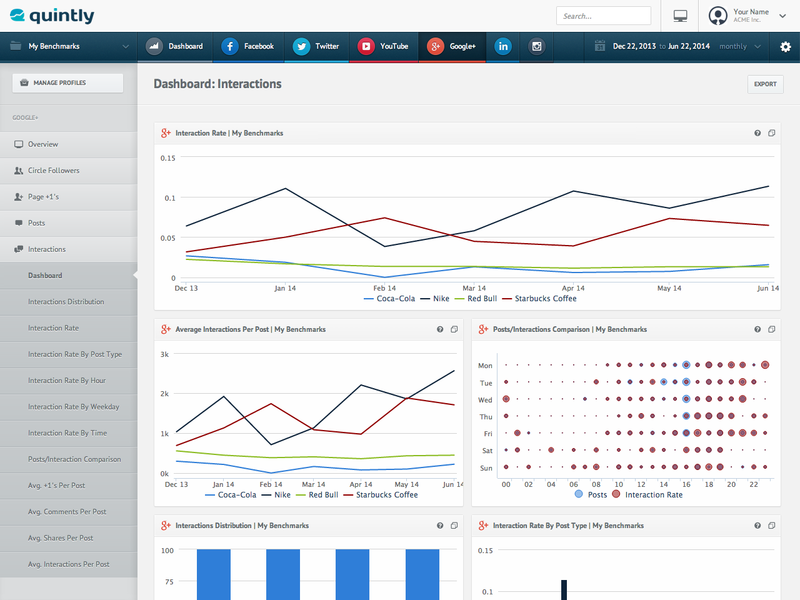 quintly offers outstanding features to optimize your social media marketing efforts.